is not indicative of our overseas projects. Harborside Plaza 10 is a 19 story, 594,000 square foot, state of the art, Class A office building built in 2002 as Charles Schwab and Co.’s east coast headquarters. 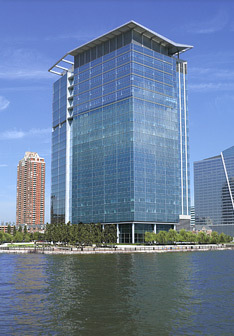 Plaza 10 extends 50 feet onto the Hudson River, etching its unique glass curtain wall signature on the waterfront. Set directly across from the Freedom Tower, magnificent views sweep the river in every direction. One Journal Square Plaza is the cover stone in Panepinto Properties dynamic redevelopment of Jersey City’s traditional Journal Square commercial district. 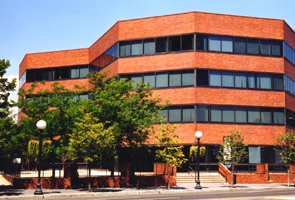 The 54,000 square foot office building was built in 1984 as the corporate headquarters for Maher Terminals, Inc. It was the first major, private investment project to be built in the area in over 30 years, at the time. The building refocused interest of Journal Square as a key commercial and transportation hub. The Gotham rises 23 stories into the skyline and boasts 220 units of luxury rentals. It was the first major apartment building developed of the Jersey City waterfront I 20 years. Designed in an inspired Art Deco motif, The Gotham includes 14,000 SF of retail and parking for 340 cars. The building features amenities which include a 24 hour doorman, fitness center, indoor/ourdoor recreation areas and unobstructed views of the Statue of Liberty. 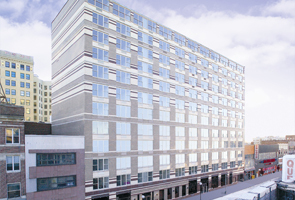 State Square is a 10 story, 130-unit rental residence, 400 car parking garage and 15,000sf of prime retail/ commercial space within the Journal Square Central Business District. Built in 2005, this was the first major residential project built there in over 30 years. 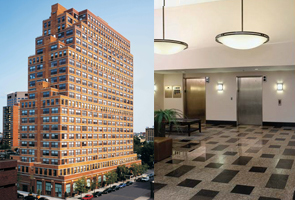 Financed by a tax exempt NJ State bond issue, State Square provides 30 units of affordable housing. 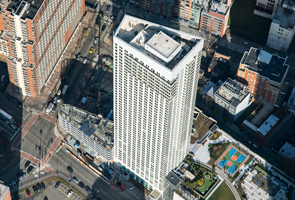 70 Columbus was complete in the fall of 2015. 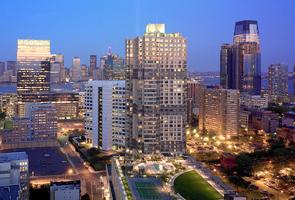 It is a 50-story; 540 unit residential tower located in downtown Jersey City. The building was designed by Gwathmey, Siegel, Kaufman and Associate Architects and HLW International. The luxury building offers a state of the art amenity package that includes a Base Fitness Gym, pool, baskeball court and over an acre of outdoor common space. The retail portion of the building will boast a Sunac Natural Market that offers natural and organic foods. The second phase of the development, 80 Columbus, is a 152-key Marriott Residence Inn which will open in the Fall of 2016. The third and final phase, which has broken ground, will be 90 Columbus and it is approved for 539 rental units. Designed in an innovative pinwheel configuration, 50 Columbus rises 36 stories above the cityscape. The 400 unit residential tower offers an unparalleled amenity package, including an acre of private outdoor space with a pool, basketball courts, great lawn and barbeque area. 50 Columbus includes an 800 car parking garage, 40,000sf of retail space, and on-site access to the Grove Street PATH station. 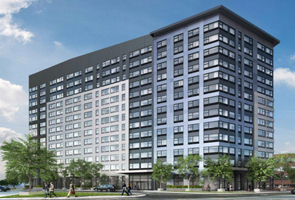 3 Journal Square, Panepinto Properties latest project, is a 13-story, rental property with 240 apartments. The property is located within the Journal Square submarket of Jersey City; the city’s major central business district. 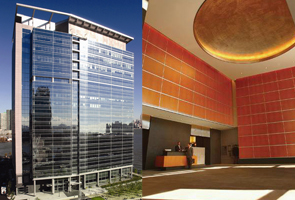 3 Journal Square was designed by Marchetto Higgins Stieve Architects using Green Building Standards. The building sits atop an existing parking structure that will supply the future parking of the building. Its close proximity to the Journal Square PATH subway station will service tenants that need access to the east-bound trains headed to either the World Trade Center Transit Hub or Herald Square at 33rd Street in Manhattan.